This is an extract from Project Pain Reliever. I contributed two chapters. Last week’s extract was about the issues and warning signs related to constantly changing requirements. If you find yourself in a similar situation, here’s what you can do about it. When the requirements keep changing, it’s important to nail them down as quickly as possible to get back on track. Establish where you are now and how you will handle changes when something else changes – because it will! Go back to your scope document. What is this project trying to achieve? This forms the underpinning structure of your requirements. List all the requirements you currently have on the project and make sure they all tie back to the project’s objectives. Ask all your stakeholders to review the list and confirm that it presents the current view of what they want the project to deliver. 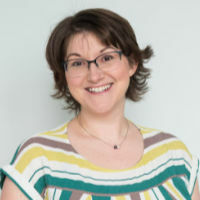 If there are conflicting requirements – Marketing want the widget in blue and Customer Services want it to be orange – ask your Sponsor to arbitrate. It might be easier to get everyone in the same room to agree the final list, although if you expect there will be some conflicts you could organise individual sessions with each of your stakeholders in the first instance. This exercise will give you a baseline for the project’s requirements. Any changes after this need to be assessed and taken through the change control process. The project could take longer or finish earlier. More resources could be required. The result could be a different quality outcome to what was previously agreed. The project could cost more. Changes can be desirable, so stakeholders should know that they do have the option to make changes if required. However, they should do so in the full knowledge of what the impact should be, and with guidance from you about how possible it is to make the change. For example, it is far easier to accommodate changes early in the project. If you are building a hotel, it is not going to be easy to change the layout of all the bedrooms when the decorators are just finishing up. Any smaller changes that cannot be accommodated now could be packaged up into a Phase 2 or another project in the future. A request to make a change to the baselined requirements is received. The objectives and project as a whole if the change is not done. If yes, document the change, update the plans and schedule and let everyone know. If no, tell the person who requested the change that the work will not be done, and the reasons why. Make sure that project stakeholders and in particular, your Sponsor, understand and agree to the change control process that you will be using from now on. You have a clear set of requirements to act as a baseline. Everyone understands what making changes to these means. Everyone understands how changes can impact the project. You have a process in place for controlling change on the project. Changes to requirements happen – you just have to be prepared for them when they do. 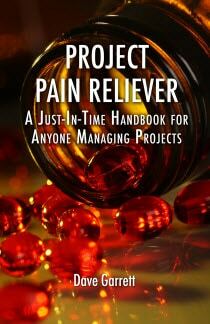 Project Pain Reliever, edited by Dave Garrett, is published by J. Ross and is available on Amazon.co.uk and Amazon.com.